in the midst of planning your celebration. to realize how lucky you are to have found each other. One Christmas day, my cousin's partner surprised her with a tiny little black lab mix puppy with a huge red bow tied around his neck. It was that day that everyone in our family knew for certain they would get married one day. On the morning of their special day, everybody was nervous, anxious, & most of all excited for the day's events to unfold. She prepared in her childhood home, while he prepared in their house. This was the second wedding I attended. I remember being in awe of everything during that day. I saw the photographer document the gorgeous bridal gown + shoes and instantly knew I wanted to commemorate couples' weddings. I have carried this experience of attending a wedding close to my heart ever since. I am thrilled to be able to document couples' love so their grandchildren may one day witness how beautiful love transcends time. With your partner you have declared your love for one another & made the decision to grow old together. Celebrate this momentous time of your lives; it is a chance for you to slow down and enjoy being a fiancé(e). Your wedding day is only the beginning of your new life with your partner by your side. This is the day that you celebrate your love, surrounded by all of your favorite people. Documenting this joy means you have heirlooms to keep close to your heart. The most important part of a wedding is to be with the one you love and begin a new adventure together. This collection is for the free-spirited, non-traditional couple who want an intimate celebration of love. We've never hired a wedding photographer before, how do we do this? I completely understand, don't worry. Just start by contacting me and let's talk about your big day while getting to know each other. We'll start with the date and location of your wedding and go from there. Engagement sessions are incredible amounts of fun. They're a perfect time for you to take a minute, snuggle & kiss your spouse-to-be, and remember that you are going to be married to your love. You choose where we do your engagement session because it's all about you & choosing the perfect location is one part of showing off who you are as a couple and individuals. I love engagement sessions because they're a great time for us to get to know each other and for you to get comfortable in front of the camera. By the time your wedding day comes, you'll be pros. 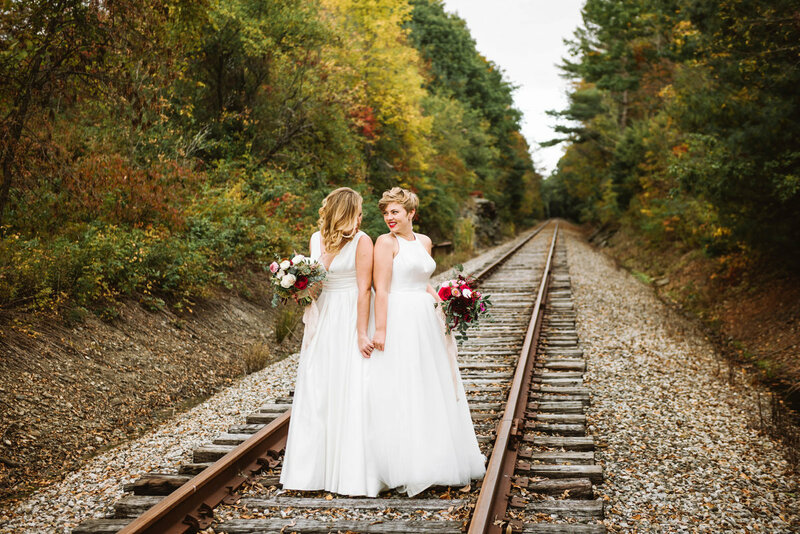 Alternatively, if you’re incredibly busy before the wedding, a post-wedding anniversary session is a lovely way to reflect on your wedding day and have more photos of the two of you. How Long Until We Get To See Them? which is why you'll be getting 200 - 300 photos in 6 - 8 weeks. on Facebook & Instagram in order to get you extra excited about your full online gallery. Speaking Of — Can We See A Full Gallery? 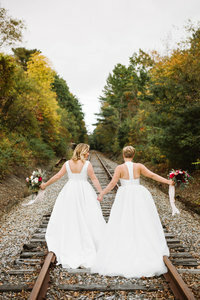 Please email me and I will send you different unique wedding galleries featuring amazing couples. I absolutely love to travel, & would be thrilled to travel for your wedding. I am ready to travel throughout New England, & I do have my passport updated + ready to go for destination weddings. Are The People Featured On Your Website Models? I am happy to say that all of the couples featured on my website are really together & really in love. Wedding, Couple, & Animal Portrait Galleries?